Players who make a television-screen gesture with their hands to appeal for a video replay in Uefa competitions will be shown a yellow card, European football’s governing body has confirmed. 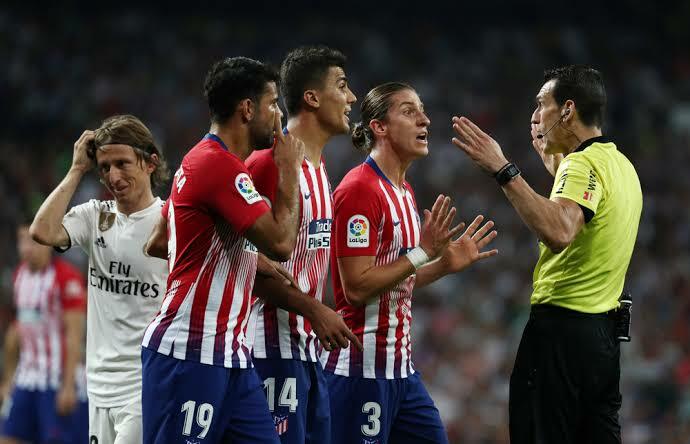 Like the Premier League, Uefa has delayed the introduction of Video Assistant Referees (VAR) but has now committed to using them from this month’s knock-out round of the Champions League, the Europa Leaguefinal, this summer’s Nations Leaguefinals and Euro 2020. Having seen the system being used in leagues throughout Europe and at last summer’s World Cup in Russia, UEFA wants its use of VAR to be more consistent and less intrusive, with the final say left with the referee on the pitch. In a media briefing ahead of Thursday’s Uefa Congress, the confederation’s referees chief Roberto Rosetti explained that maintaining the referee’s authority was a key part of that, which is why he wants a crackdown on players appealing for VAR. “Any player who shows shape of the TV screen needs to be cautioned,” said Rosetti.